My friends and family and I get together during the summer at least once a month for a barbeque. I’m constantly coming up with new dishes to feed a crowd. Its Berry Season! Berries have been popping up all over the grocery store produce department in my area on sale lately. I love having mixed berries on waffles, in my yogurt as a snack, and in desserts. 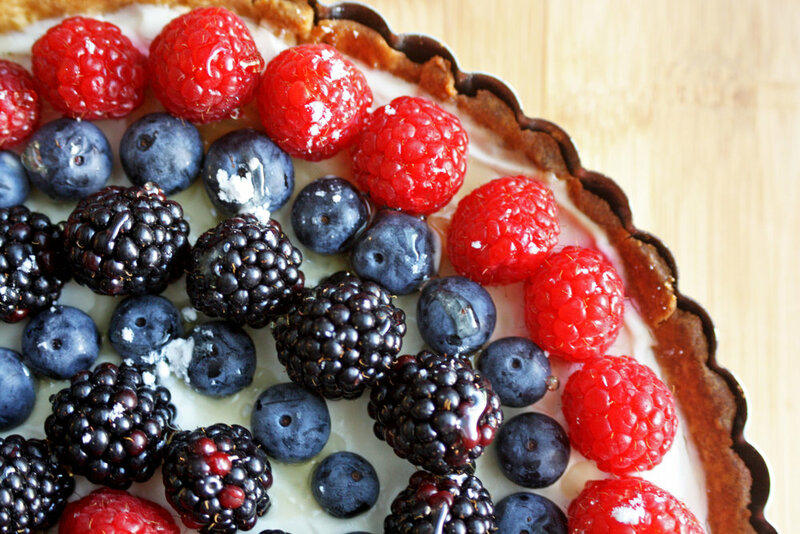 Today I’m sharing my recipe for a berry cheesecake tart. It is fairly easy to make and is perfect for summer barbeque season. Check out the recipe below.